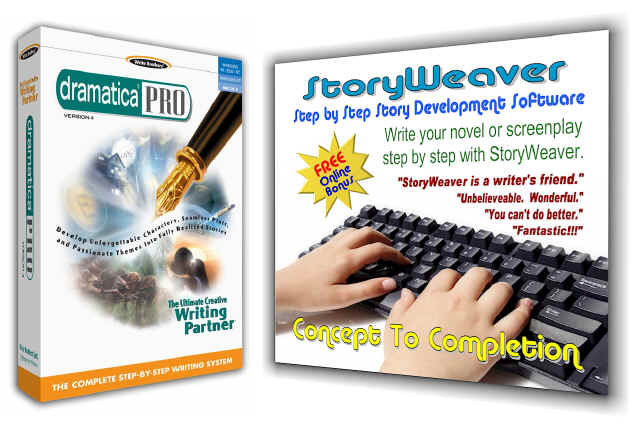 How does Dramatica deal with Genre? To begin with, Dramatica divides the substance of "Story" into two part: Story Structure, and Story Telling. When you read a story or see it in a theater as a movie, play, or even hear one as a song ballad, you are only seeing the Storytelling. You never see the Structure directly; it is only inferred. Now, as you know from other Dramatica theory, each of the four items, Universe, Physics, Mind, and Psychology represents a different "Class" of problem which will occur in a story. After all, Universe is a fixed external state, Physics is an external process, Mind is an internal state, Psychology and internal process. And, clearly, any problem we might identify in a story will be seen as either an internal or external state or process. Now, to provide perspective on each Class in a story, we couple each one with a different point of view. The four points of view are Main Character, Obstacle Character, Objective Story , and Subjective Story. I won't go into definitions for these here, as it is beyond the scope of our immediate interests. Suffice it to say, that if a Main Character is a Physics character, he or she will remain a physics character throughout the story. So far, we have loosened things up a bit, but still not enough. The next step is to realize that the four Structural aspects don't have to stay in the same Storytelling category (row) for the entire story. For example, a Main Character might begin in Entertainment, but end up in Drama by the end of the story. In fact, any of the four aspects might "move" through the table any number of times over the course of the story, touching on some or all of the rows. This represents the flow of human emotions. We can all get to any emotion, but just as with the Seven Stages of Grief, or Freud's Psycho-Sexual Stages, you can't skip the in-between. If you do this, the audience will not be able to follow the story emotionally, and you will lose them - pull them out of the experience. They will suddenly become aware they are an audience to a story, and will examine what happens dispassionately. This was the mistake made by the Bruce Willis movie, "Hudson Hawk". They wanted to mix it up (comedy, thriller, action movie, musical!) but rather than wrapping around the Table, they jumped over in-between and lost the audience. If you haven't seen it, rent the video just to see what I mean. I hope this answers some of your questions. Please feel free to ask others or request additional clarification on this one.